The Anker SoundBuds Curve are good sports headphones, with a long battery life and a decent sound. 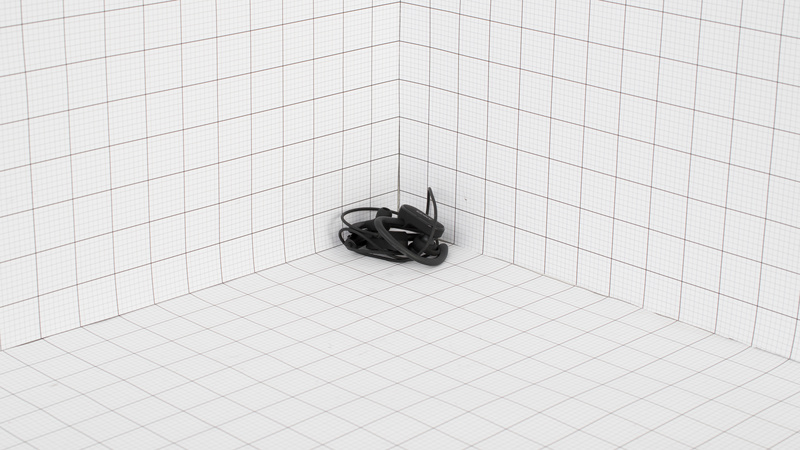 They're comfortable with a stable ear-hook design for exercising and working out. They're compact enough to fit into your pockets, and they're decently well built, although the audio cable is a little thinner than comparable wireless in-ears. Unfortunately, they do not block that much noise so they may not be the best headphones for loud, noisy environments and their sound may be a bit too bass-heavy for some. The Anker SoundBuds Curve have a decent design that looks a lot more premium than their price would suggest. The earbuds feel dense, durable and are a bit more comfortable than typical in-ears. They also have an ear-hook design with additional stability fins that make them stable enough for the gym. Unfortunately, the tips tend to slide out of your ears from time to time, especially during more strenuous workouts. 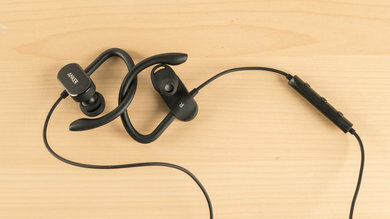 They also have fairly thin cables that do not feel as durable as some of the other wireless in-ear/earbuds we've tested like the Bose SoundSport Wireless. On the upside, they have a simple and straightforward control scheme and come with a decent case that's portable. 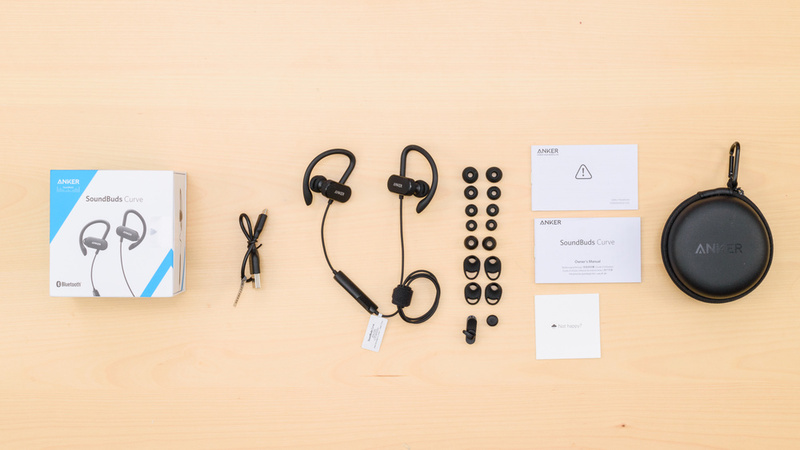 The Anker SoundBuds Curve have a surprisingly decent-looking, sporty aesthetic, considering their price range. They have thick and flexible ear-hooks, and the matte finish makes the earbuds feel a bit more premium than the similarly designed SoundPeats Q9A. The inline remote and the cable, however, feel a bit cheap. They also do not come in as many color schemes as the JBL Endurance Sprint to match your tastes and preference but, their understated look will work for most. The Anker Curve are quite comfortable for an in-ear design. The tips do not enter as deeply into the ear canal like most in-ear, which removes a bit of the soreness and pain some listeners experience during long listening sessions. Unfortunately, the rubber tips sometimes slide a bit in the ear canal, which can be slightly distracting and somewhat uncomfortable for some. On the upside, they come with 6 tip options to help you find the right fit so it shouldn't be much of an issue. The Anker Curve have a simple 3 button layout with no additional features. It's an easy-to-use and efficient control scheme that provides all the essential functions; call/music, track skipping, and volume controls. However, the buttons are a bit small, and even if they're fairly easy to find on the in-line remote by touch, bigger buttons with a bit more feedback would have been preferred. The Curve are very breathable headphones. Like most in-ears, they do not cover the outer ear which remains relatively cool when exercising and working out. 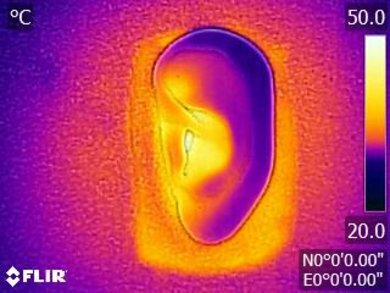 They do cover a bit more surface area than typical in-ears due to their ear-hook, earbud-like design but it's a negligible difference and won't make you sweat like on-ears or over-ears do. The Anker Curve are easy to carry around on your person. They're compact, lightweight and you can fold them to easily fit into a pocket, bag, or purse. 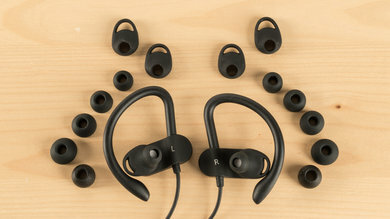 They're slightly larger than straightforward, wired or wireless in-ears designs like the Aukey Latitude or Jaybird Tarah but are still very portable and come with a decent case. 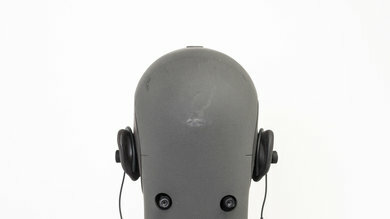 These headphones come with a decent hard case that will protect them from minor impacts, scratches, and falls. However, the case shell is not as hard as some of the other hard cases we've tested but on the upside, it's compact and can fit into a pocket. The Anker SoundBuds Curve have a decent build quality, although not as good as the Soundcore Spirit X. They have thin audio cables and the earbuds and ear-hooks are fairly dense and relatively sturdy, making them better built than some cheaper sports-oriented like the Mee Audio X6 Plus. They feel better built and more premium than the similarly designed Q9A, but the audio cable is thinner and less durable. These headphones have a stable ear-hook design that's great for sports (see our recommendations for the best sports headphones). They won't easily fall off your ears even during intense workout sessions. 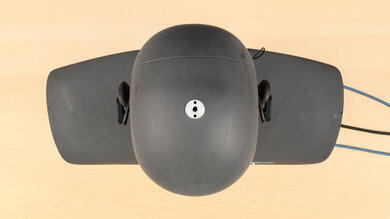 They also have a couple of stability fins included in the box that helps with the fit, which makes even more stable. However, the earbuds will slip out of your ear canal from time. They won't fall but the change in the seal when they move around slightly changes the audio which may be an issue for some. If you prefer a truly wireless design within the same price range then check out the SoundPEATS TrueFree. The Curve come with a micro-USB charging cable. The Anker SoundBuds Curve is a decent sounding pair of closed-back in-ear headphones. They have a deep, powerful and consistent bass, a clear and neutral mid-range, and an even and well-balanced treble. However, their bass is slightly overpowering, which may be welcomed by the fans of bass-heavy genres, and their mid-range lacks a bit of emphasis on vocals and lead instruments. On the upside, they have a great imaging performance, but like most other in-ears, they don't have a large and speaker-like soundstage. The bass is quite good. Their LFE (low-frequency extension) is at 10Hz, which is excellent. Low-bass, responsible for the thump and rumble in bass-heavy genres like EDM, Hip-hop and film scores, is overemphasized by more than 5dB. This results in quite a bit of thump and rumble, which fans of bass may like. Mid-bass and high-bass are also hyped, but only by 3dB. Overall, the bass is thumpy and heavy without sounding too muddy and cluttered. The SoundBuds Curve have an excellent mid-range performance. The overall response is quite even and flat but recessed by about 2dB. This nudges the vocals and lead instruments towards the back of the mix, by giving bass and treble a bit more emphasis. The treble is good. Low-treble is even and within 0.75dB of our target. Mid-treble is also quite well-balanced, but a little uneven between 8Khz and 10KHz. This could make some of the sibilance (S and T sounds) slightly lacking, and some other sibilances a tad too sharp. Overall though, their treble response is quite well-balanced, which is important for a good reproduction of vocals, leads, and cymbals. The frequency response consistency of the Anker SoundBuds Curve is excellent. If the user is able to achieve a proper fit and an air-tight seal using the assortment of tips that come with the headphones then they should be able to get consistent bass and treble delivery every time they use the headphones. The imaging performance is excellent. The weighted group delay is at 0.2, which is very low. The GD graph also shows that the entire group delay response is below the audibility threshold. This ensures a tight bass and a transparent treble reproduction. Additionally, the L/R drivers of our test unit were very well-matched, which is important for the accurate placement and localization of objects (instruments, voice, footsteps), in the stereo image. The harmonic distortion performance is very good. In the bass range, they show very little THD, even under heavy loads. This suggests that the Curve could take a few dB of EQ boost in the bass range before distorting. The THD in the mid-range, however, is rather elevated and could sound a bit harsh and fatiguing around 1KHz. The Anker SoundBuds Curve only passively block ambient noise which won't be ideal for commuting and very noisy environments. 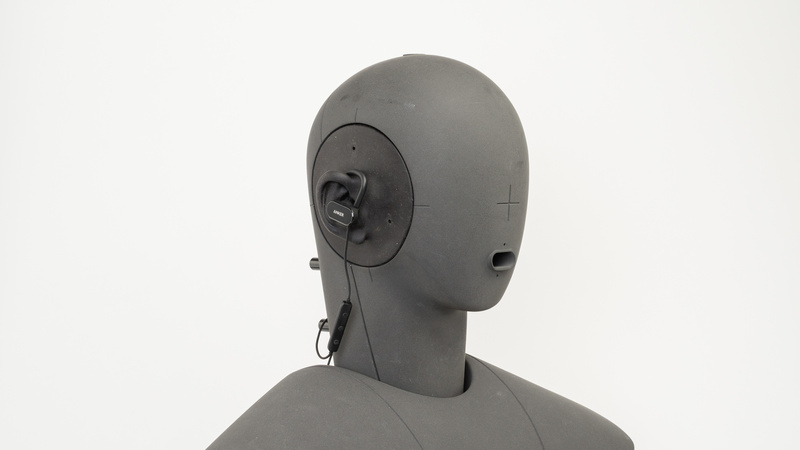 The in-ear buds do not create the best seal within the ear canal, which allows some of your surrounding environment to seep into your audio, unlike some of the other in-ears we've tested. On the upside, since they barely leak you can mask some of the noise by playing your music at higher volumes without distracting those around you. The Anker SoundBuds Curve have a mediocre isolation performance. In the bass range, where the rumble of bus and airplane engines sit, they achieve about 3dB of isolation, which is barely noticeable. 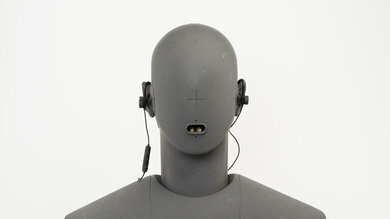 In the mid-range, important for cutting out speech, they isolate by more than 16dB, which is good. In the treble range, occupied by sharp S and T sounds, they isolate by about 27dB, which is above-average. The leakage performance is great. Like most other closed-back in-ear, these headphones don't leak in the bass and mid-ranges. The significant portion of their leakage is in the treble range and between 3KHz and 6KHz, which is quite a narrow range. The overall level of the leakage is not loud either. Peaking at around 57dB SPL at 1 foot away, which is about the same as the noise floor of most offices. The in-line microphone has a sub-par quality. 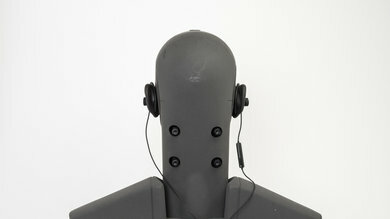 In quiet environments, speech recorded or transmitted with this mic will sound noticeably thin, and quite muffled and lacking in detail. However, it will still be understandable. In noisy environments, the Anker SoundBuds Curve will struggle to separate speech from background noise even in moderately loud situations, like a busy street. The SoundBuds Curve's microphone has a sub-par recording quality. The LFE (low-frequency extension) of 369Hz means speech recorded/transmitted with it will sound noticeably thin. The HFE (high-frequency extension) of 2.5KHz is poor and results in speech that is muffled and lacking in detail. It also negatively affects the intelligibility of speech. The in-line mic is mediocre at noise-handling. In our SpNR test, they achieved a speech-to-noise ratio of 13dB, indicating they are best suited for quiet environments and will struggle to separate speech from ambient noise in moderate and loud situations. The Anker SoundBuds Curve have a decently long battery life but poor power saving features and no app support for customization. They lasted up to 13 hours on a single charge, which should be enough for a day of moderate-to-heavy use. They also do not take too long to charge (1.5 hours). Unfortunately, the lack of an app makes them less customizable than some of the other wireless in-ears like the Jaybird X3. They also do not turn-off automatically when inactive as long as they're paired with your Bluetooth source which is a little disappointing. The Anker Curve have a decent battery life of 13 hours and only took about 1.5 hours on average for a full charge. This makes them a decent option for the casual and heavy user, but unfortunately, they do not have a lot of power saving features to extend their battery life. They will stay paired to your device until the battery runs out or they are out of range so if you forget to switch them off the battery will continue to drain which is not ideal. These headphones do not come with a compatible app for added customization options. You can check out the Jaybird Freedom 2 or the Tarah if you want a relatively affordable in-ear headset with a highly customizable sound. The SoundBuds Curve are Bluetooth-only headphones with no audio cable or base/dock. They are one the best wireless earbuds we've tested so far; they have a decent wireless range but do not support simultaneous multi-device pairing or NFC. On the upside, they have relatively low latency for a Bluetooth headset and even support aptX but still won't be the ideal headphones for gaming or watching movies. 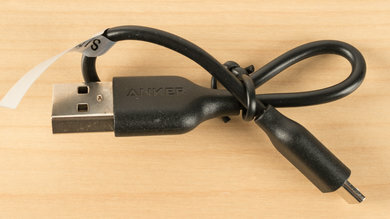 The Anker Curve do not have multi-device pairing or NFC support. On the upside, their hold-to-pair procedure is not difficult to use and not as frustrating as some Bluetooth headphones due to the decent feedback of the buttons on the in-line remote. The Anker SoundBuds Curve have no wired option. If you want a decent sounding, wired design with a universal in-line remote, then check out the 1More Triple Driver In-Ear. 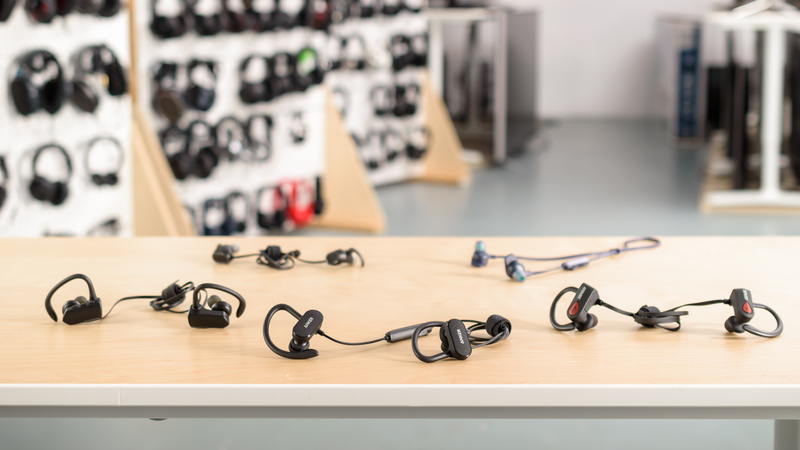 The Curve have an average wireless range, even when the Bluetooth source was obstructed but they are not as far-reaching as some of the other wireless in-ears we've tested like the BeatsX. They should have enough range for most use cases, especially if you keep your phone on you, but they won't be ideal for very large office spaces and fixed Bluetooth sources like a PC or TV. The Anker SoundBuds Curve have quite a bit of latency which is not ideal for watching movies and a lot of video content. It's less than most typical Bluetooth headphones especially when connected to an aptX device but it won't be suitable for gaming and movies. 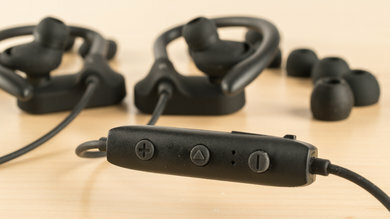 The SoundBuds Curve are decently well-rounded in-ears for sports and one of the best sounding wireless earbuds we've tested at this price. They have a stable and sweatproof ear-hook design with additional stability fins and a decently well-balanced sound that packs a lot of bass. They're lightweight and portable and surprisingly well-designed for their low budget price. Unfortunately, although they are stable, the earbuds tips would sometimes slip out of your ears and the audio cable is quite thin and does not feel as durable as some of the competing wireless in-ear models below. Overall, they're the best wireless earbuds under $50 we've tested. See also our recommendations for the best budget wireless headphones. The Anker SoundBuds Curve and the Anker Soundcore Spirit X are practically the same headphones, with very slight differences. The Spirit X are slightly better due to their higher sweat and water resistance, and their in-line remote offers better tactile feedback. You also get a cinch for easier cable management. If you have a Bluetooth 5.0 source, you might get better wireless range and connection stability with the Spirit X. On the other hand, the Curve have lower latency, support the aptX codec, and are even more affordable. These two headphones are great budget options, but if you don’t really care for the additional sweat resistance, the Curve will satisfy most users. The AUKEY Latitude are better mixed-usage headphones than the Anker SoundBuds Curve. They have great isolation performance and are a good option for commuting. They also have excellent wireless range and can connect to two devices simultaneously. On the other hand, the Ankers are noticeably more comfortable and are more stable for sports due to their ear-hook design. Athletes might prefer them, as they also have overemphasized bass. The Anker SoundBuds Curve are a much better headset than the Anker SoundBuds Sport. The Curve have an ear-hook design that's a bit more stable for the gym and working out. The Curve also have a much better sound quality, a longer battery life, and a more comfortable fit that does not enter the ear canal as deeply as the Anker SoundBuds Sport. 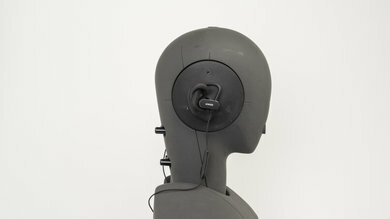 On the other hand, the more in-ear fit of the Sport makes them a bit more suitable for noisy environments. They're also a bit more compact than the Curve since they do not have ear hooks. The Anker SoundBuds Curve are slightly better headphones overall when compared to the JBL Endurance Sprint. 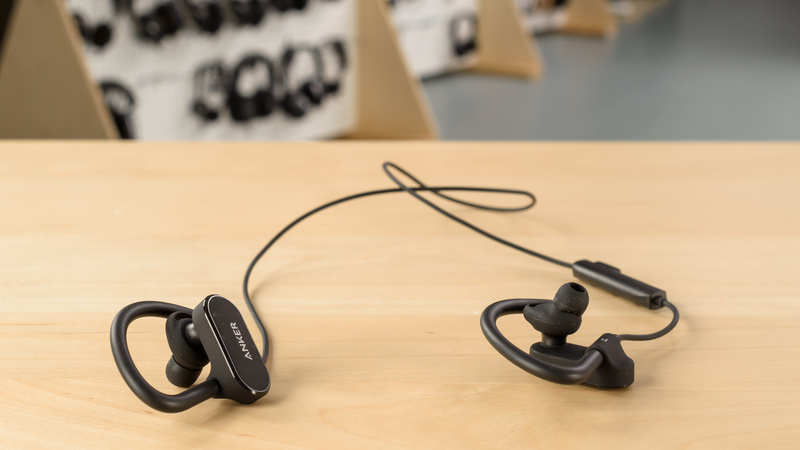 The Curve offers a better value for your money with a decently well-balanced sound and a better more comfortable in-ear fit than the Endurance Sprint. They also have a longer battery life and a slightly more stable fit, since the in-ear seal of the earbuds is not affected as much as the Sprint's when the headphones move around. They also have a better more precise control scheme than that of the JBL. The Sprint, on the other hand, have a better design and more high-end look and feel. They also block more noise for busy commutes and have a few unique features like the magnetic ear hooks which some may prefer over that of the Ankers. They also have a slightly better-balanced sound than the Ankers, although they do not get as loud. The Anker SoundBuds Curve and SoundPeats TrueFree perform similarly for mixed usage, but overall, the Ankers have better sound quality and are more comfortable, making them better headphones. However, the TrueFree create a better seal inside the ear and isolate more background noise, which means they might be better for bus and subway rides. Those two budget headphones have a great price-to-performance ratio. The Ankers might be better for sports thanks to the ear-hook design and better sound quality, while the TrueFree are better for commuting and traveling. The Anker SoundBuds Curve are way better headphones than the 1More Piston Fit. They are more comfortable, better-built, have great audio reproduction, and shouldn’t have any stereo image issues. The Piston Fit are wired so they don’t have latency issues like the wireless Curve, have a better in-line microphone, and you won’t have to worry about battery life. This shouldn’t outweigh the better sound and comfort of the Curve, even if they are a bit more expensive, since they provide a better value to performance overall. The Anker SoundBuds Curve are much better sports headphones than the Sony WI-SP500. They offer a much better value for your money, thanks to their better sound quality more comfortable and stable fit and their longer battery life. On the other hand, the Sonys have NFC pairing and they have a slightly better wireless range but overall the Ankers are the better choice for sports and most use cases, especially in the budget range. The Anker SoundBuds Curve are better and a cheaper alternative for typical sports headphones, but if you really want to hear everything around you while training, the bone-conducting AfterShokz Trekz Air might be a better choice. The Trekz Air also have better build quality with thicker cables and rubberized coating. On the other hand, the SoundBuds Curve are more portable and come with a good hard case. They also have a longer battery life. The Anker Soundbuds Curve are decently versatile headphones that are best used for sports thanks to their stable, compact and wireless design. They have a long battery life and a decent build quality, especially considering their price range. However, they do not feel as durable as some of the more expensive wireless in-ears we've tested. They have a moderately well-balanced sound, but a bit too much bass for more critical listeners and they do not block a lot of noise for an in-ear, so they may not be the best headphone for loud, noisy commutes. On the upside, they're easy to carry on you at all times and should be good enough for most use cases. Decent for critical listening. They have a fairly balanced sound with an almost flat mid-range and a good treble, so they don't sound as sharp as some of the other in-ears we've tested. Unfortunately, they pack a bit too much bass which overpowers the instruments and vocals in the mid-range, but fans of extra bass may find it pleasing. They also have small closed earbuds that cannot create an adequate soundstage. This means they won't be the best headphones for more critical listeners but should sound good enough for most, especially if you like a little bass. Above-average for commuting. They're compact, comfortable easy-to-carry around on your person. Also, their low leakage performance can somewhat compensate for their poor noise isolation, by playing your music at higher volumes. However, they don't block much noise and shouldn't be your first choice for loud, noisy commutes. Good for sports. The Anker SoundBuds Curve have a stable ear-hook design and also come with a couple of stability fins and multiple tip sizes to help you find a secure and comfortable fit. They're very breathable, easy-to-use and portable enough to have on your person at all times. However, the buds will slip out of your ears occasionally during more strenuous exercises depending on the quality of the fit and seal you can achieve with the provided tips. Average for office use. 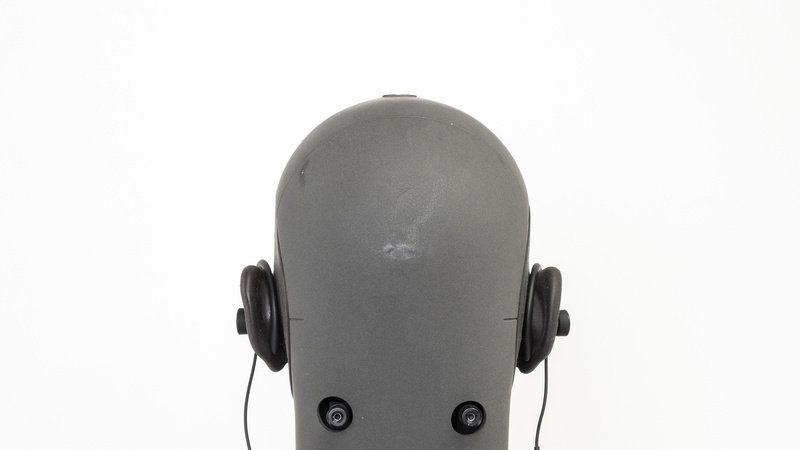 They will let a bit of the office chatter seep into your audio due to their poor isolation. However, they don't leak much and won't be audible to anyone around you. This means you can also mask some of the ambient noise by playing your music at higher volumes. Average for home theater use. The Anker Curve are comfortable but have fairly high latency which won't be ideal for watching movies. They also have no other connection option but Bluetooth so they won't be the ideal headphones for a home theater set up. Below-average for gaming. They have a mediocre-at-best microphone, and a bit too much latency to be suitable for gaming. They also have no companion app so they won't be as customizable as most gaming headsets and their Bluetooth connection is not compatible with consoles.